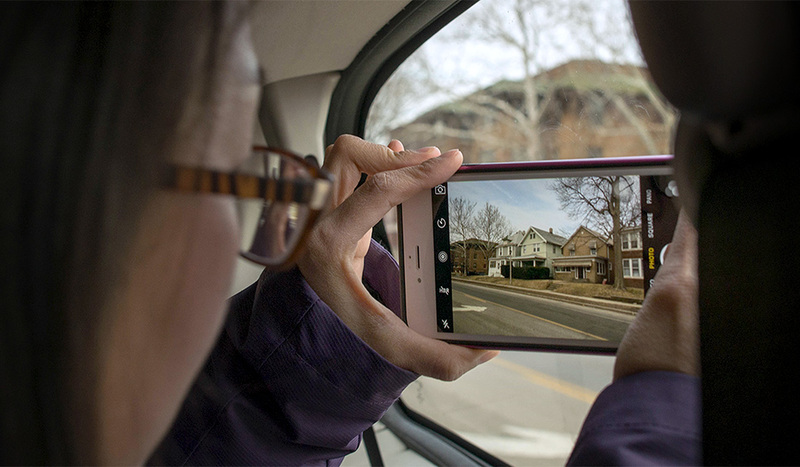 A Purdue University graduate student takes photos of Peoria, Illinois neighborhoods to help with watershed modelling. When communities look to address water quality issues like nutrient pollution, there are an assortment of computer models to help them simulate scenarios to solve their problems. But how do local officials and watershed planners know which models will best address their needs? Which ones will consider cost as part of the solution? “When watershed planners want additional information that will help them make decisions about nutrient management and land-use issues, they want to do it in the most expeditious way possible—with the data they have available, as well as economically, quickly, and with confidence in the results,” said Purdue University agricultural engineer Bernard Engel. With funding from IISG, Engel and his team analyzed these tools to assess their value in addressing community land use and water concerns. “Models vary greatly in terms of data inputs, level of expertise needed to use them, what exactly they model or simulate—each has strengths and weaknesses because of that,” said Engel. The researchers compared model performances to observed data sets, which allows them to make some recommendations on when you might use the models and what you might expect from them. Engel’s team is hoping to push for some models that they feel very confident about to be more accessible to stakeholders. And some are already available in more comprehensive decision support tools, such as Tipping Points and Indicators. Tipping Points is a complex web-based tool that uses data to help communities planners understand how close their watershed is to ecological thresholds related to a range of water issues and what the watershed will look like if land-use decisions continue on the same course. Through facilitation, communities develop an action plan that includes customized steps to improve current conditions and steer clear of tipping points. Engel’s team spends most of their time developing and improving land-use computer models. One of their additions to Tipping Points is a tool to analyze the impacts of land-use changes due to urbanization and the construction of green infrastructure such as rain barrels, porous pavement or green roofs. It was incorporated when decision makers in Peoria, Illinois signed up to use Tipping Points to develop a green infrastructure plan to address the city’s stormwater issues. Engel’s assessment project has helped inform what direction the team is heading. For example, they plan to explore ideas to improve speed and cost effectiveness. “If the models are faster, they will be more accessible for people,” said Engel.